Yes, I did it. I dropped the “C” word. On the blog. In June. Please forgive me. Bare with me though as a few quick lists and orders here and there from now on can really make your Christmas go more smoothly. 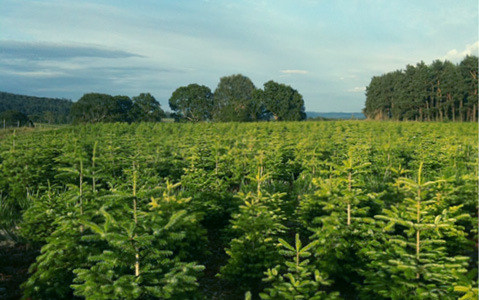 Just as Christmas tree growers, Pines and Needles are now busy growing the trees ready for Christmas, we can begin to get organised too. Personally, I have come to the conclusion that I will never be completely organised for Christmas. I mean even if I had made enough decorations, gifts and festive food, if there was still time to go then I would keep going. If I’m honest, that’s the way I like it (please remind me this when I’m feeling stressed on 24th December- thank you in advance). If you are planning to have a real Christmas tree then it makes sense both time wise and financially to order yours now. Pines and Needles have a great offer for Diary of the Evans-Crittens Earlybird Christmas Tree Orderers. Follow Diary of the Evans-Crittens’s board Oh Christmas Tree on Pinterest. For me, it also comes as a bit of a relief. One more thing ticked off that long to Christmas do list is always a good thing. When you use the code: EVANSHW2C15 – which is valid from now till 25th July 2015. The first 50 orders they receive will also receive a free Poinsettia plant. This code will be ﻿valid all the way through to Christmas. 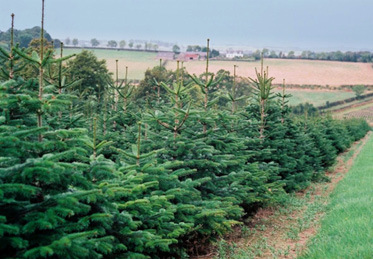 So, I think we’re all agreed that now is a great time to place your order for your Christmas Tree, but when do we all think is the best day to put up your Christmas Tree? What delivery date will you be booking for? We will be reviewing a Pines and Needles Christmas Tree this year.